With a global reach, Past Preservers serves as the creative hub between the media and heritage worlds. Our network allows us to provide outstanding media representation and promotion for your event, project or organisation. We act as the official media partner for The Archaeology Channel’s International Film Festival and hold a collaborating role with the Archaeological Institute of America’s International Archaeology Day. 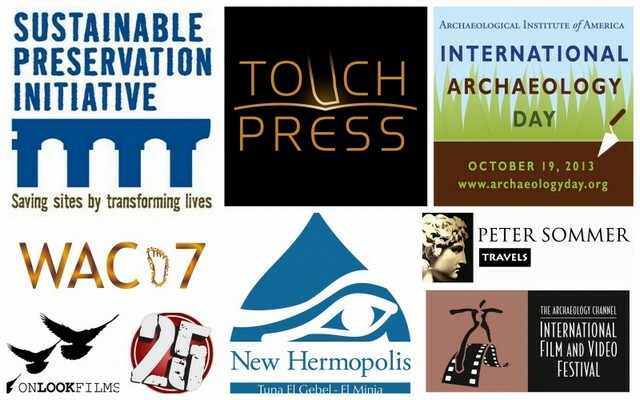 Past Preservers was also the official media promoter of the Seventh World Archaeological Congress (WAC – 7). In addition, we are the official media partner for On Look Films in Egypt and we represented Egypt’s 25 Channel during its operation and we are partners with The New Hermopolis Cultural Village as well as an associate of the 24th International Festival of Archaeological Film. Would your organization or event benefit from our partnership? Drop us an email and we will be glad to discuss details.